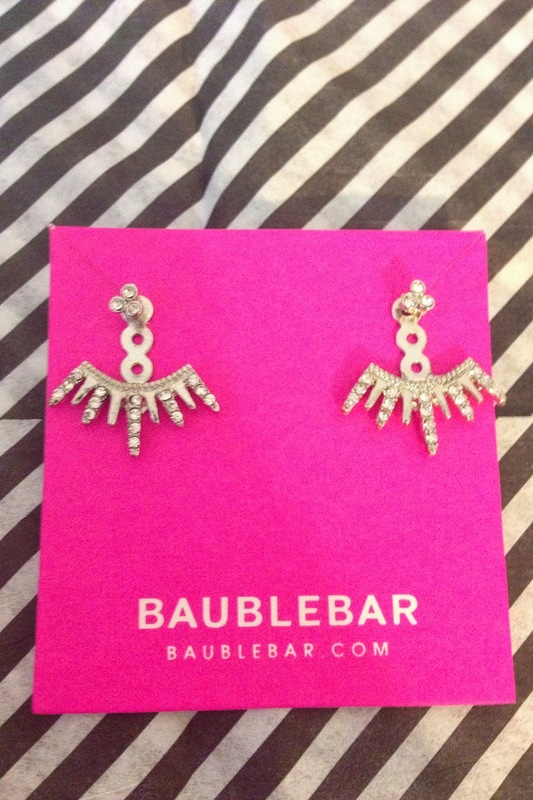 A few month ago I heard about Baublebar - an E-commerce jewelry business. I've visited the website and liked a lot of their pieces but never get around to ordering any. I was putting together an outfit for a special occasion and needed a statement piece of jewelry, so I remembered Baublebar. I'm so happy I did. They impressed me so much with the order that I decide to share it with you. Needless to say that this is not promotional post and I'm not getting paid for it. When I opened the box it was colorful and bright, instantly raising your mood. 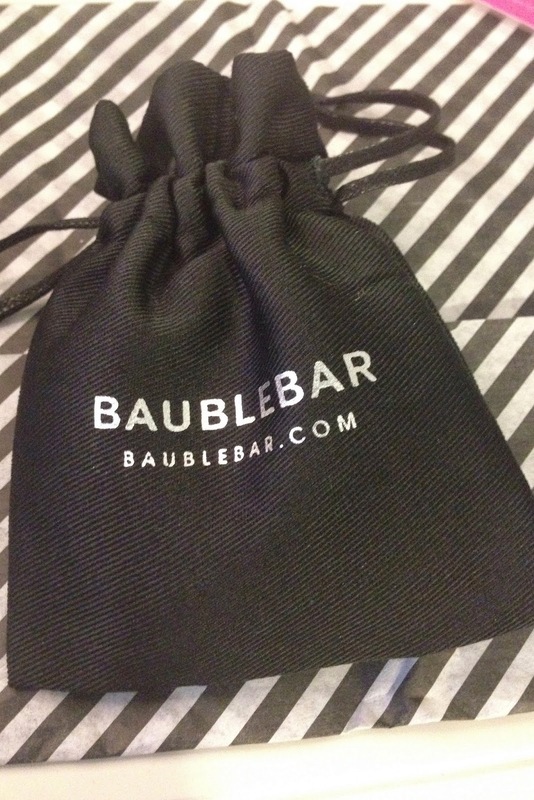 Every jewelry piece wrapped in a small bag, which is convenient for traveling. 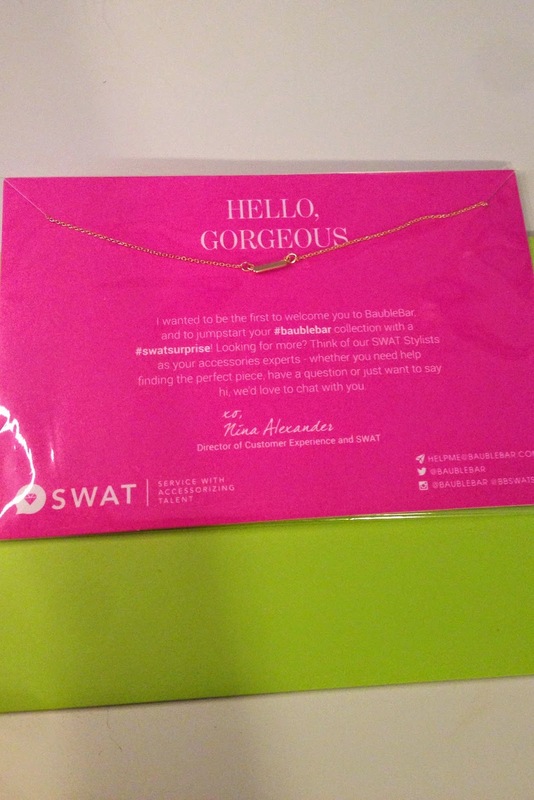 Since this was my first order they included a free necklace, it was nice receiving something when you don't expect it. Funny, but their gift was my favorite. They also included: dry shampoo from Pantene, a discount for the next order, and a guide to Bauble Care. One of the pieces I order were these gorgeous adjustable earrings.